Though a penguin and not a princess, Steve the Adelie penguin proves to be another lovable protagonist in Disney’s collection. 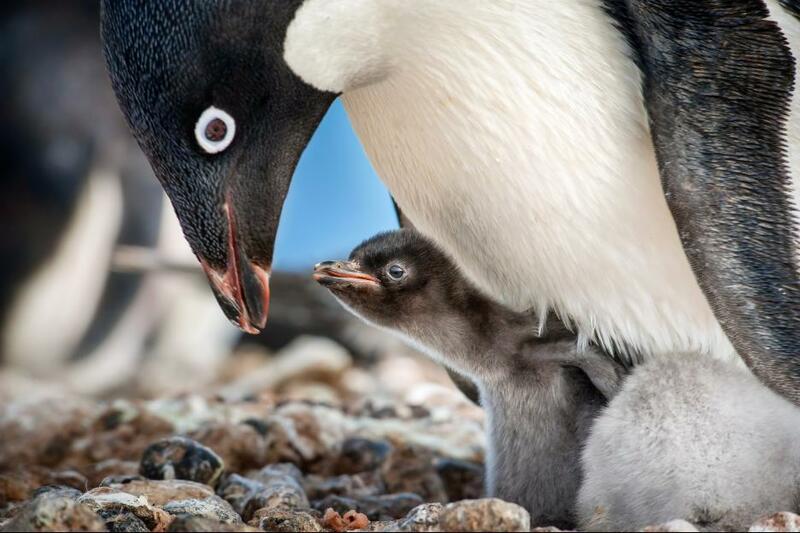 Disneynature’s Earth Day documentary “Penguins” follows Steve’s journey into parenthood. At 5 years old and 15 pounds, Steve is determined to prove himself against adult challenges, including protecting his family from brutal antarctic weather and competition from his fellow penguins. Steve is clumsy and a bit scatterbrained, but approaches the mating season with simple optimism and a desire to foster a healthy family. His attitude toward life aptly parallels the overall tone of the film — uncomplicated and bright. Narrator Ed Helms (Andy Bernard in “The Office”) gives our penguin protagonist a spirited and wholehearted voice as he alternates between first- and third-person perspectives. The documentary, directed by Alastair Fothergill and Jeff Wyatt Wilson, opens with a sweeping shot of the Antarctic. As we close in on the surface, Helms describes the Antarctic’s overwhelmingly cold and windy expanse. Then Steve waddles in, to the beat of cheery pop music. He’s far behind the other penguins and nearly out of the camera’s frame because of his constant fumbling and meanderings. Though Steve’s concern mounts as he fails to orient himself, he reassures himself with a certain “don’t panic” that soon becomes his mantra throughout the film. Steve then runs into a group of emperor penguins (likely a nod to the 2005 documentary “March of the Penguins”), who quickly turn the Adelie away. Eventually, he comes to meet his own waddle, where his interactions with other living creatures begin in earnest. Although Helms’ narration often wanders from Steve’s mind, Steve remains the only animal with a voice throughout the entire documentary. The duality works. Steve remains our emotional anchor, a thread of humor and cheer while he blissfully bumbles away from environmental threats, such as predator-prey ladders and the brutal climate. Though Steve’s challenges are no greater than the other adults’, his role as the everyman penguin helps the audience understand the exacting demands of their lifestyle. The film doesn’t shy away from addressing these hardships. As a tense violin melody builds in the background, we watch in astounding clarity as killer whales hunt the penguins. We see Steve fight his peers, their feathers flying and their harsh Adelie beaks snapping. The violence is far from gratuitous — this is still very much a family film — and instead adds weight to a story of excessively adorable penguins. Such more serious moments ground the story well. “Penguins” is never as heavy as “March of the Penguins,” or even Disneynature’s previous Earth Day films. It doesn’t command nearly the level of gravitas, and it shouldn’t. Steve’s story aims to be simple and uplifting against an environment that demands otherwise.